Regina King won the award for best actress in a supporting role. Regina King won the award for best actress in a supporting role for her performance in "If Beale Street Could Talk" at the 91st Academy Awards on Sunday. The 47-year-old actress beat Marina de Tavira from “Roma,” Amy Adams from "Vice" and Emma Stone from “The Favourite” to win the award. During her acceptance speech, King praised the late James Baldwin, author of the 1974 novel the movie is based on. "To be standing here, representing one of the greatest artists of our time, James Baldwin, is a little surreal," she said. I'm an example of what it looks like when support and love is poured into someone. "James Baldwin birthed this baby, and Barry, you nurtured her, you surrounded her with so much love and support, so it's appropriate to be standing here," she added, referencing the film's director, Barry Jenkins. "I'm an example of what it looks like when support and love is poured into someone," she said. "Mom, I love you so much," she added, directly addressing her mother. "Thank you for teaching me that God is always leaning -- always has been leaning in my direction." 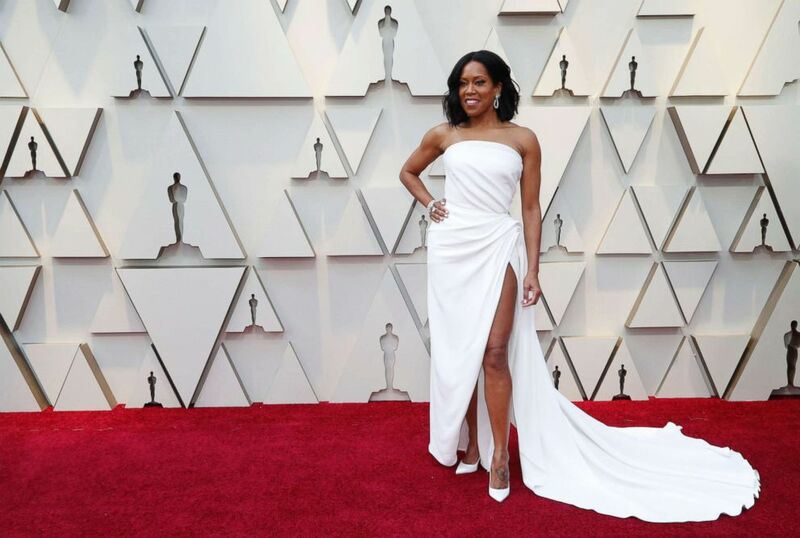 (Mario Anzuoni/Reuters) Regina King arrives at the 91st Academy Awards in Los Angeles, Feb. 24, 2019. King also thanked the cast and crew of "If Beale Street Could Talk." Of her fellow nominees, she said, "It has been an honor to have my name just said with yours. This whole step of the way, it's been pretty amazing." It's time to get your glow on! "God is good all the time," she said, concluded her acceptance speech. King also spoke about the significance of being at the biggest award show in Hollywood during a pre-show interview with E!. “I can’t say that I didn’t expect to ever be at the Oscars, but to be at the Oscars representing James Baldwin is kind of mind blowing," she shared. King has had a whirlwind award season this year. She took home the Golden Globe for best performance by an actress in a supporting role, as well as a Critics' Choice Movie Award for best supporting actress for her role in "If Beale Street Could Talk."